We have been operating a Live Streaming webcams since 2012 . 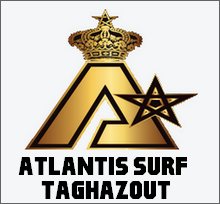 Many viewers from all over the world to watch Taghazout Beach on our unique Webcam , As we have grown in this field we need to develop our camera systeme , to keep this work Everyday all the time , that's why If you are able to donate $2, $5, $10, or any amount you want please click on the "Donate" link below. Your generosity will enable us keep this camera up and running , Thank you, and we hope you enjoy watching Taghazout Webcam as much as we do .